Shhhh....Listen.... Did you hear something or was that in my head? Halloween tends to make everyone paranoid they might run into the walking dead. Could it be a ghoul or a ghost, I'm too scared to find out. Until all of a sudden comes a shriek then a shout. Mmm, I bet you didn't think monsters hid in some places. But we are finding out they are creeping in the most peculiar spaces. If your car is dirty, I'd recommend giving it a clean. Yes, a good washing, just try not to scream. Ford is embracing Halloween with a spooky surprise. Scary prank videos seem to be all the rage lately and Ford recently got into the action to celebrate Halloween. 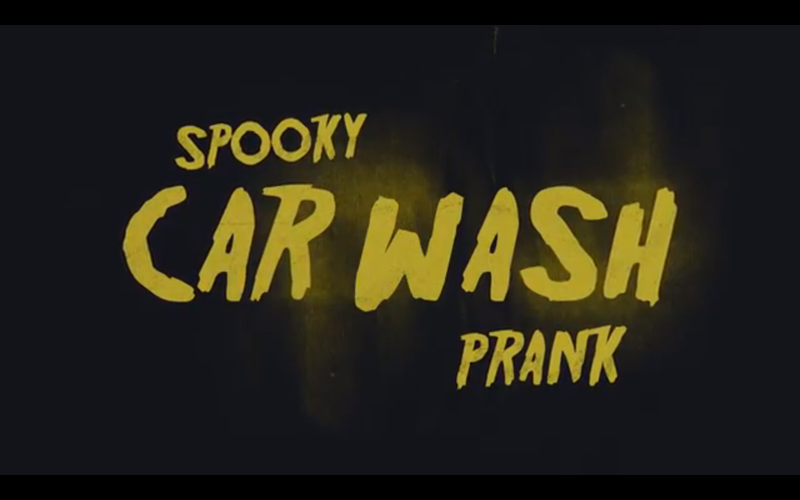 The auto company set up a haunted car wash for 30 unsuspecting strangers to drive through on the way to film an imaginary ‘Ford test drive.' They got a little more than they bargained for but it looks like some free coffee was thrown in so that's a plus!